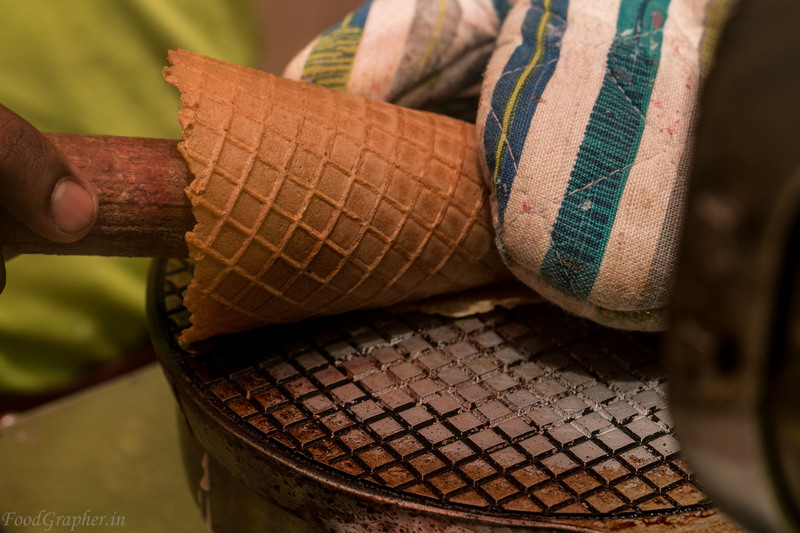 With the scorching heat of Chennai summer taking its toll on us, the preferred dessert choice of many of us is an ice-cream or any variations of it. 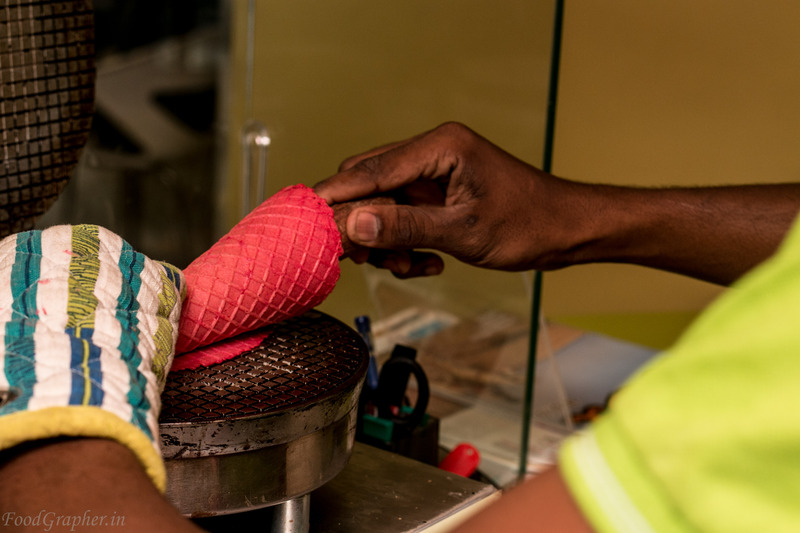 What tastes just like ice-cream, but is not an ice-cream??? Google took this name for one of its android versions, and is nothing new for our singara Chennai. Yup, I’m talking about the Fro-Yo (Frozen Yoghurt). First time I had a fro-yo was at the old FroYo outlet which opened at EA. It was good, but couldn’t entice our taste buds. Then came Pinkberry at Phoenix. I haven’t tried their offerings yet, but have heard the flavours are limited. 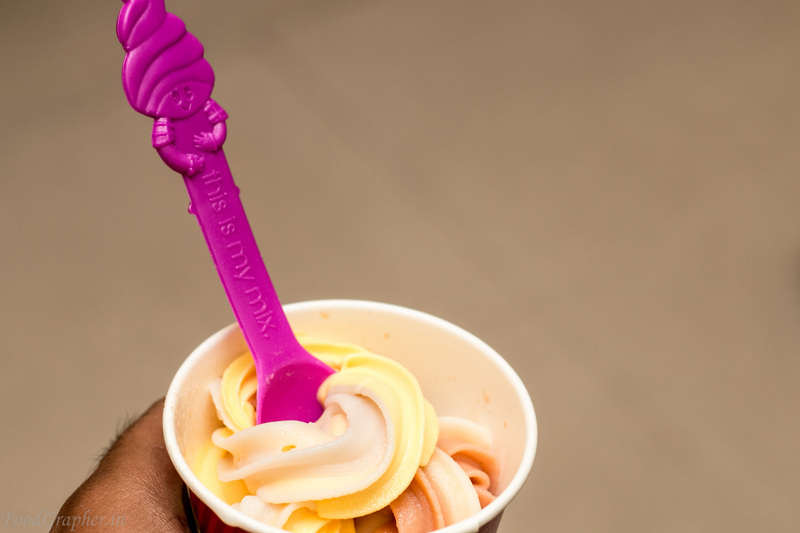 Next fro-yo joint to hit the town is Menchie’s, a California based brand. How many times has anyone opened a business just because his favourite brand is not in the town he lives in? Here is a man who brought to town Menchie’s, just because it is his daughter’s favourite froyo brand, kudos to Jignesh Pujara. 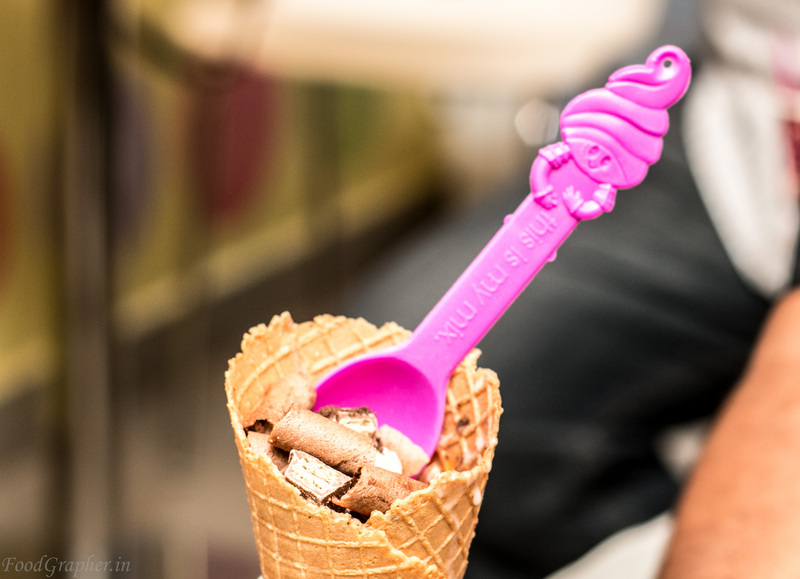 This small, but spacious froyo joint located in KNK road has a lots to offer. 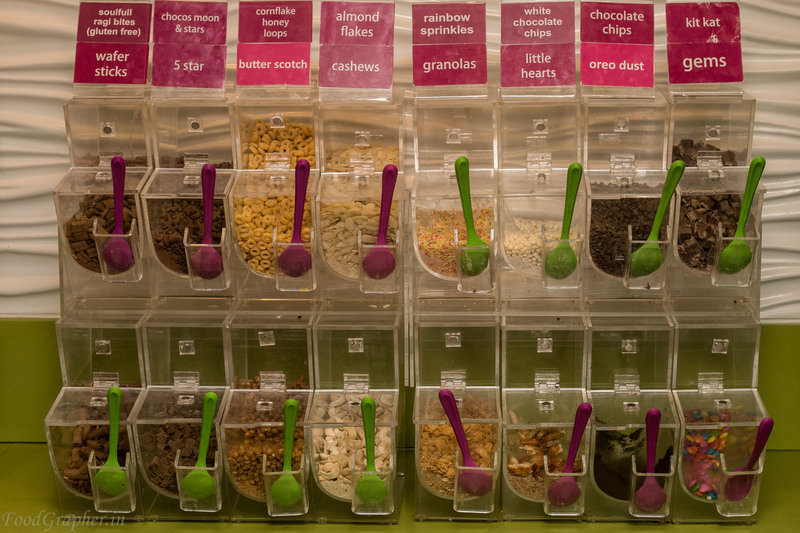 To start with, there is portion of wall just dedicated for the froyo machines, which dispense numerous flavours. Now, don’t expect a gazillion nozzles there when I say numerous flavours. 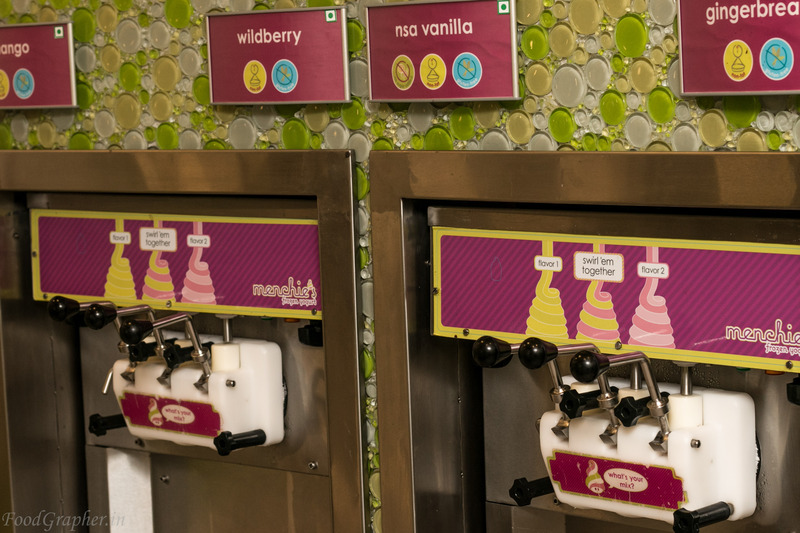 Menchie’s has numerous interesting flavour, but not every flavour is on sale every day. Flavours are mixed and matched every week. Typically, its 10 flavours per week, 5 machines. You may take out single flavour with their separate lever, or shall mix both the flavours in a machine by cranking the middle lever. You are allowed to mix whichever flavour that is available at the moment, just like their tagline reads – ‘what’s your mix?’. There are no-sugar-addded variations too. Did I say about the samplers? yup, you can sample each flavour before choosing the mix you wanna make. 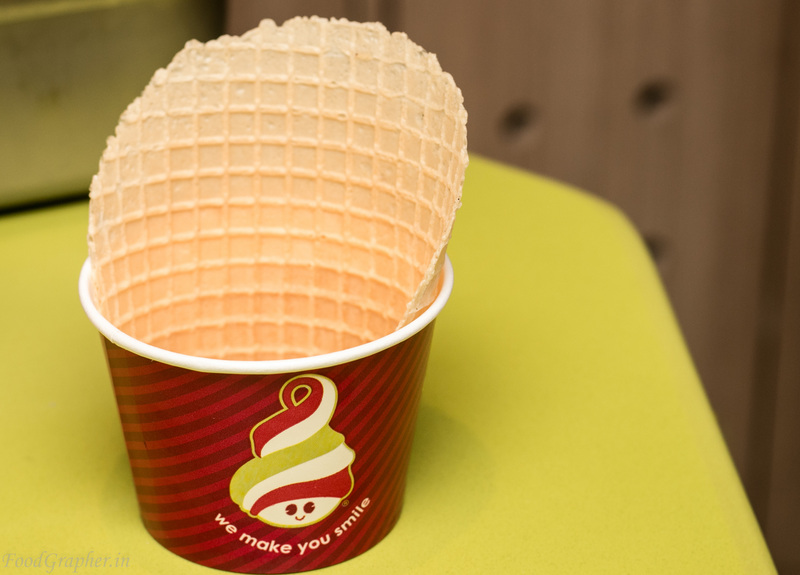 You can choose to make your mix in a plain cup, waffle cup or waffle cone (waffles are of extra charge). 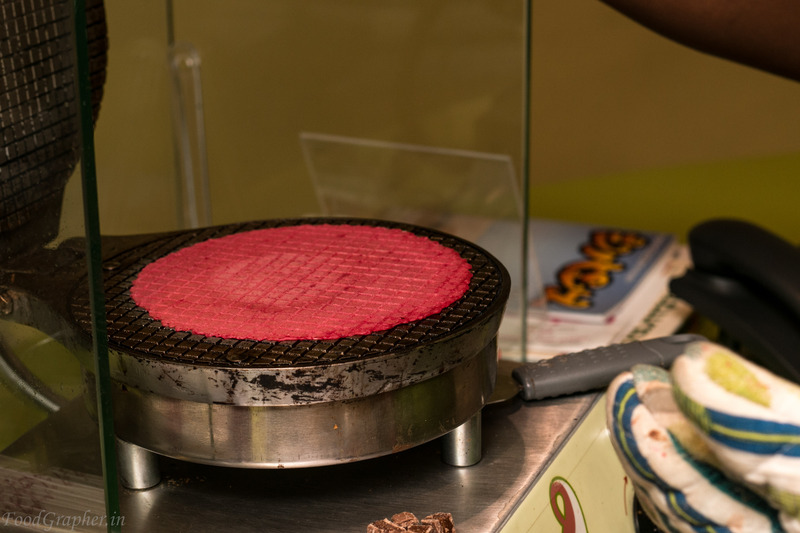 Waffles come in different flavours too, like butter scotch, swiss chocolate, strawberry, coconut etc..
while you wait for your waffles to be done, you may choose to indulge in some floor projected interactive games. 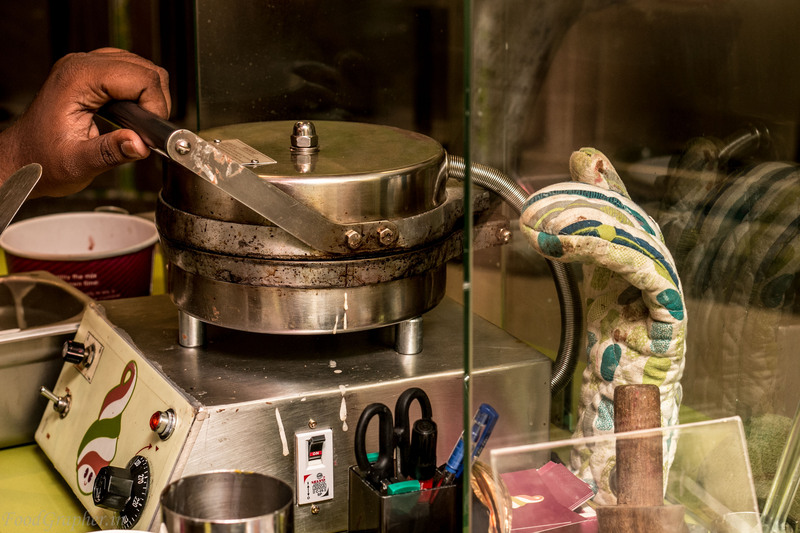 Not just that, there are about 20+ toppings available, right from the usual gems and nuts to chunks of 5star and chocolate bars, along with syrups and sauces. My pick of the day were coconut waffle cups, mint and chocolate mix, gingerbread and wildberry. 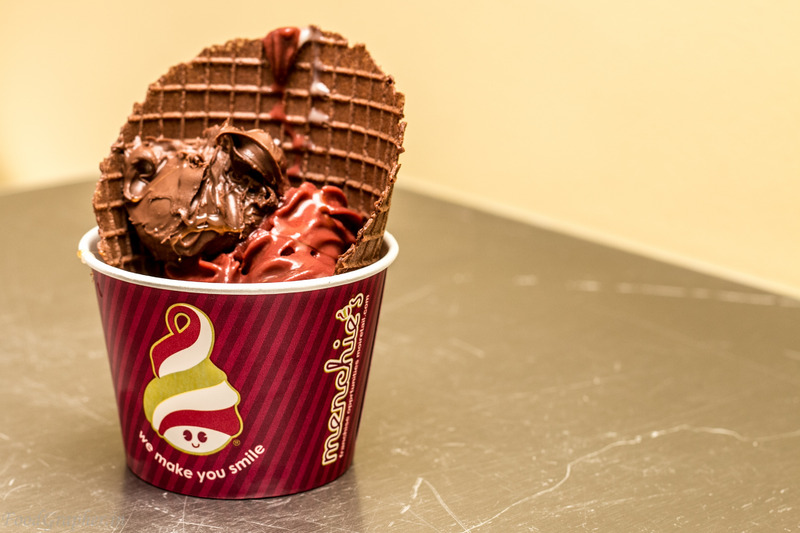 Apart from froyo and toppings, they also have a spread of cute Menchie’s merchandise. 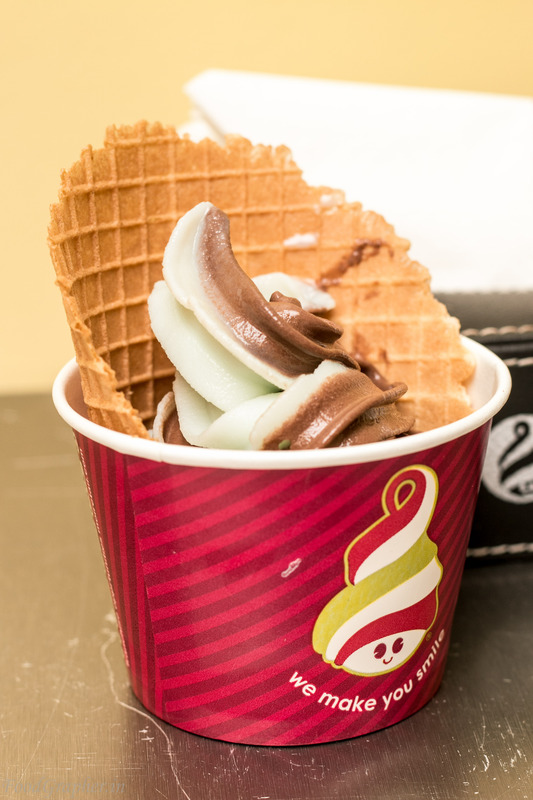 Pricing is at 1.30 per gram of froyo,with additional cost for waffle and topping. This entry was posted in Cafe / Short Eats and tagged Chennai food guide, froyo, frozen yoghurt, gingerbread, KNK, mechie's, mint, wildberry. Bookmark the permalink.